Tallinn, the capital city of Estonia, is still a hidden gem. This small city in northern Europe doesn’t get as much attention as Paris or Amsterdam and in a way, it works in its favour – the city is devoid of crowds and remains a virgin territory. Estonia is one of the most advanced nations in Europe – paperless, internet-friendly and smart. It’s really easy to set up a start-up here and even easier to file your taxes and vote for your leaders. In Tallinn, everywhere you go, the internet follows. 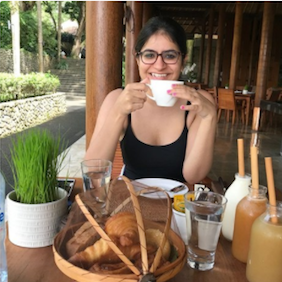 In the four days that I spent in the city, my phone kept buzzing with WhatsApp notifications and emails – and I was connected even when we travelled to the countryside for a night. But the two things that really surprised me were the green cover in the city and the shining sun that just wouldn’t set! One of Europe’s cleanest cities, you can breathe in fresh air here and enjoy the beautifully manicured gardens and parks. Most people come to Tallinn for its nightlife – it can be an exciting place to have a bachelorette party - but the city has much more to offer. As the country celebrates its 100th anniversary this year, we tell you why it’s such a hot destination in Europe. In this article, you will find a full guide to Tallinn, Estonia that you can bookmark while planning your European getaway. 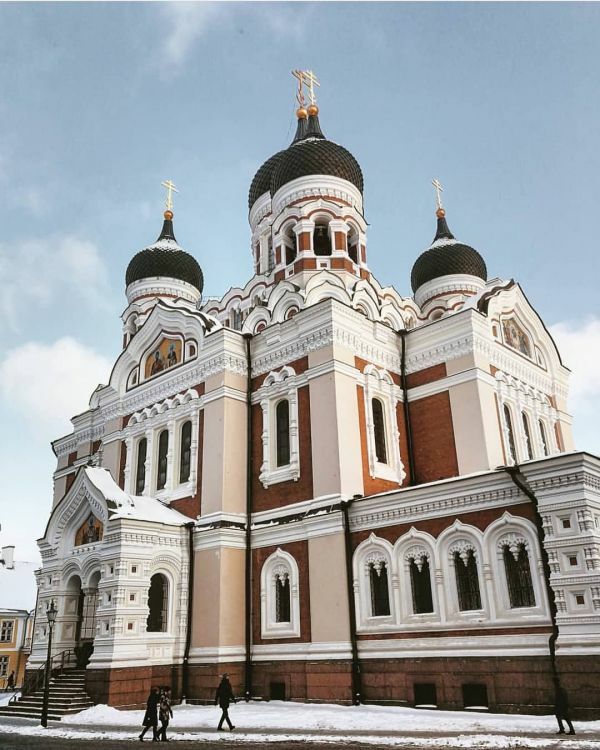 If you are making an itinerary with the list of attractions that you must see in Tallinn, then you must take time out for these. Make notes in this cool Vacation Calling journal (Rs 249) and start planning your vacay! The cobblestoned streets and medieval buildings of Tallinn’s Old Town (divided in the upper town and lower town) are a delight for travellers. There are no cars here and the architecture is inspiring. Go to the Town Hall and shop in the square; have a hot chocolate in one of the street-side cafes and visit a medieval church. The Gothic buildings and merchant houses are a major draw for tourists. As you’re taking a stroll in this part of the city, you’ll notice the 13th-century wall, which is still intact. Hike up to the Kohtuotsa Viewing Platform on Toompea Hill and click some pictures of the red roofs, with the Gulf of Finland peeking from behind. It is a UNESCO World Heritage Site. Did you know that Estonia got independence from the Soviet in 1991? Russian influences are heavy in the country and people still speak the language of their former rulers. So a must-visit in the city is the 18th-century summer palace which has beautiful gardens around it. Kadriorg Palace was built for Peter The Great and the Baroque Palace is a glimpse into the lives of the Czars. Inside the resplendent summer house, you will find paintings, sculpture and murals by Russian artists and Western influencers. If you want to see Estonia’s rural architecture, drive 15 minutes from the city to the open-air museum and spend some time taking a look at the 14 farms that depict how families lived in the 18-20th centuries. The museum is open all through the year and has farm buildings, windmills and a school. Must-do: Buy handicrafts and try authentic village treats. Tallinn Card offers free entry. Opened in 2006, this is the headquarter of the Art Museum of Estonia. 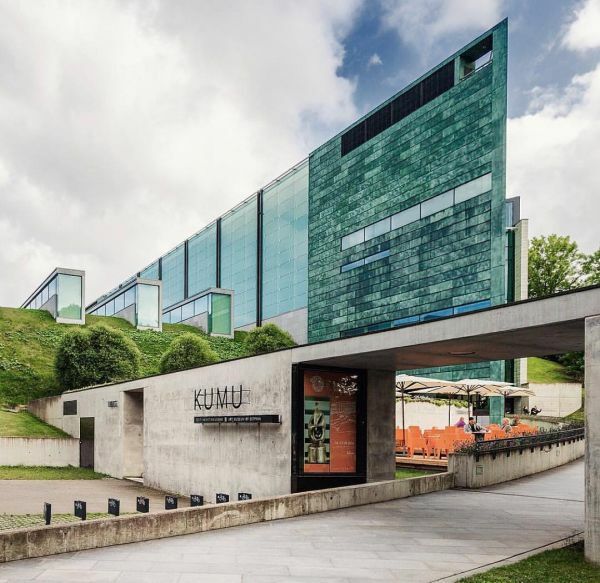 The Kumu Art Museum exhibits works of Estonian artists – both contemporary and classical. Its entry is free if you have the Tallinn Card. Want to learn all about Estonia’s love for sea and ships? Come to this museum and explore seaplanes, ships, and submarines. You can buy maritime souvenirs in the gallery, take pictures in navy uniform and play different games. Rising up to 314 metres, the TV tower is the tallest building in Estonia. Not only will you get stunning views of the city from its observatory, but you will also find a restaurant and terrace on its 22nd floor. Feeling courageous? Walk on the edge of the platform or go rappelling here. In summers, you’d love to have a picnic in this garden where 4,500 plant species are found. The greenhouses have flagrant flowers, houseplants and exotic buds. The garden also hosts concerts and conducts thematic tours. Housed in the 100 years old Rotermann salt storage building, this museum offers an insight into Estonian architecture of the 20th century. The museum hosts both permanent and season exhibitions and presents the architecture history of the country in this beautiful limestone structure. Come to the zoo if you want to see wild goats and sheep, eagles and vultures, owls and cranes. It is home to more than 7,700 animals and has recently opened the Polar Bear World. The entry is free with the Tallinn Card. Once the tallest building in the world, this church is an important landmark in Tallinn. The medieval church is a popular attraction in Tallinn. It also has an observation platform that offers panoramic views of the city, but you will have to climb up 232 steps to get here! Looking for a good hotel in Tallinn? 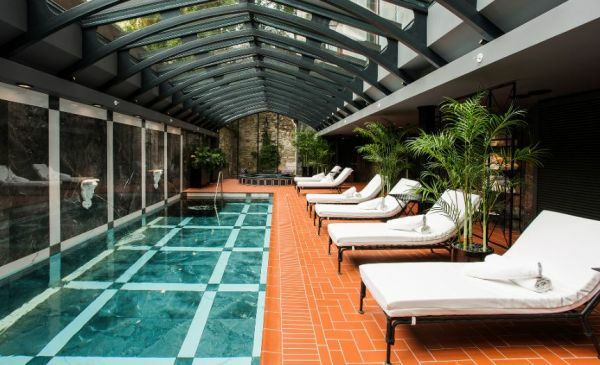 We’ve listed out the best ones – from budget-friendly to luxury. Have a look! Smack in the middle of the Old Town, this charming hotel gives you the old world charm. Built in the 19th century, this was once a four-storey house and later a post office. The five-star hotel now has 83 rooms and suites and one Presidential Suite with Old Town views. Five minutes from Old Town, the Park Inn has 245 rooms, an on-site restaurant, and a fitness centre. The three merchant houses, built in 1362, were renovated in 2003 and they welcomed guests as a five-star hotel. With 23 distinctly designed rooms, a restaurant and a bar, this is a beautiful place to spend your holiday. 1. Buy the Tallinn Card (Rs 2,122 upwards) to get access to up to 40 different attractions and museums and discounts on activities and shops. You can use all public transport for free with this smart card. 2. The tap water in Tallinn is clean and drinkable. 3. If you’re a vegetarian, you will find plenty of options in Tallinn. The restaurants in the city are known for their fresh produce and there are many vegan eateries in the city as well. 4. The Internet is a basic human right in Estonia and public places offer free Wi-Fi. 5. The Republic of Estonia is celebrating its 100th anniversary this year, so look out for activities and celebrations. 6. Locals speak Estonia and Russian, but they also know foreign languages including English. 1. How long is the flight to Tallinn? 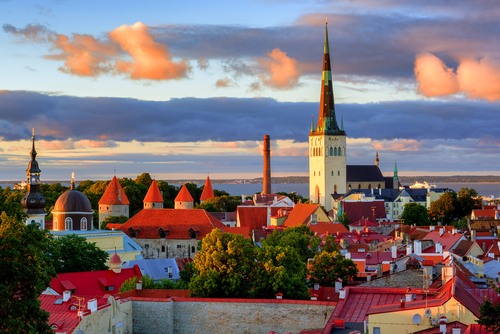 The flight to Tallinn can take between 10-18 hours depending on the airline and layover. Finn Air has a great option that will fly you to Estonia in 9 hours and 55 minutes with one stop in Helsinki, Finland. 2. Do I need a visa for Estonia? Yes, you require Schengen visa to visit Estonia. You should apply for a tourist visa at VFS Global at least 20 days before your trip. 3. Is there a direct flight to Tallinn? 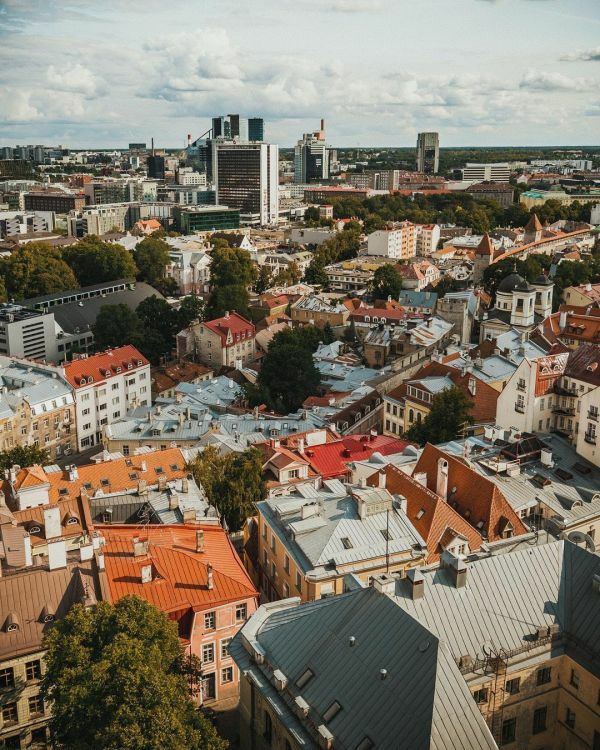 There are no direct flights to Tallinn, but you can book a one-stop flight – Air India, Finn Air, KLM Royal Dutch, Lufthansa, Turkish Airlines and Jet Airways have frequent flights to Tallinn. Ticket prices start at Rs 24,000. 4. 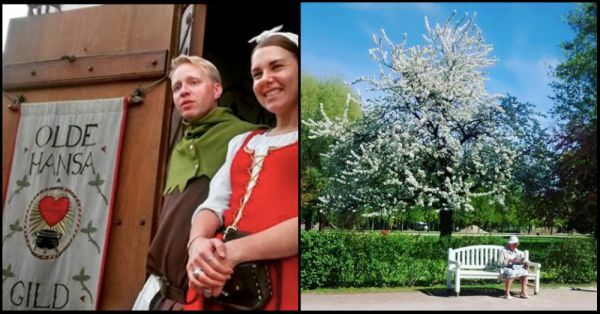 What’s the best weather to visit Tallinn? If you want to make the most of your days, visit Tallinn during summers when it’s gifted with 19 hours of sunlight. So even at 10 pm, you’ll find the sun peeking at you from the clear skies.